We offer a Variety of flooring installation services including: Hardwood Installation, Hardwood Sanding & Refinishing, Carpet Installation, Vinyl Installation, Ceramic Tile, Laminate, Vinyl Planking, Custom Showers & backsplashes, iCOAT Certified Installations, Concrete Repair and Resurfacing, Free Estimates & Consultations. 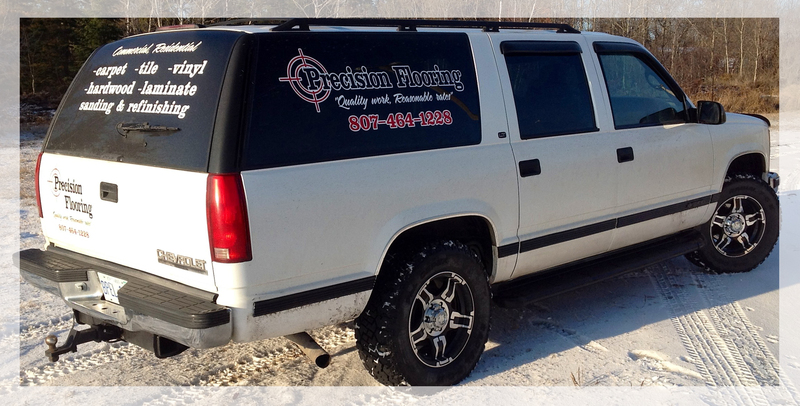 Precision Flooring is a family run, locally owned and operated business in Kenora Ontario. Started in 2012 by Dan Pearson, we have dedicated ourselves to offering a higher quality service to our customers, with over ten years of hands on experience in the construction industry - there is no job we can't take on and would love to be part of yours. From Home renovations to new construction. Precision Flooring cares about your project. We pride ourselves in offering excellent service, at a low cost to you. Whatever the Budget, whatever the size, Precision Flooring can work with you to make your next project a success! Let Precision Flooring help you BREATH new life, into your home.. Check out our Quality Work at Reasonable Rates. All images are copyrighted by Precision Flooring.